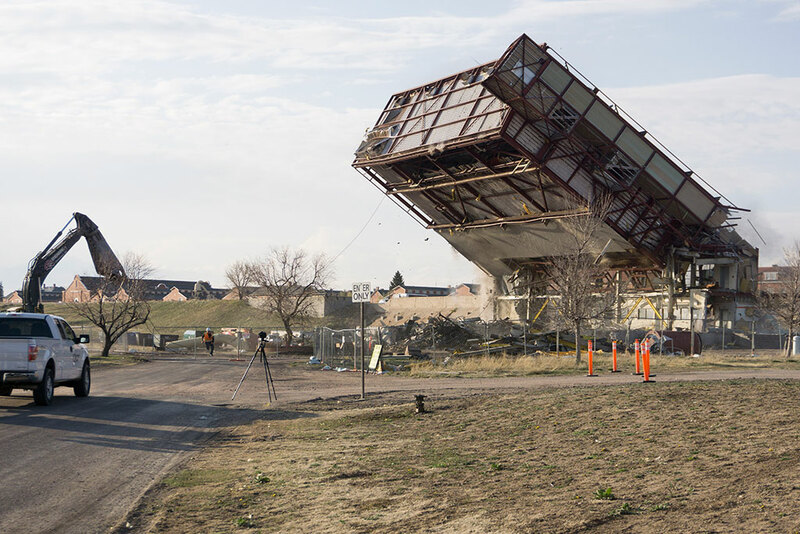 OWNER: Department of the Air Force 772 ESS / AFCEC. 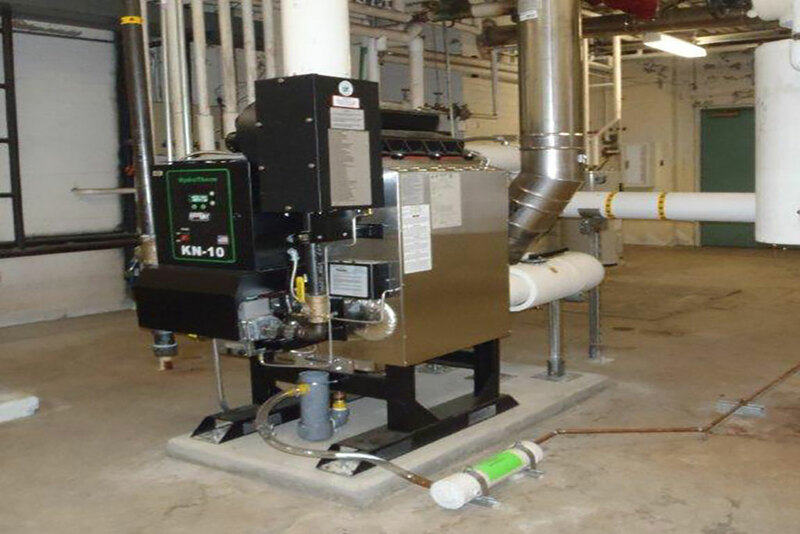 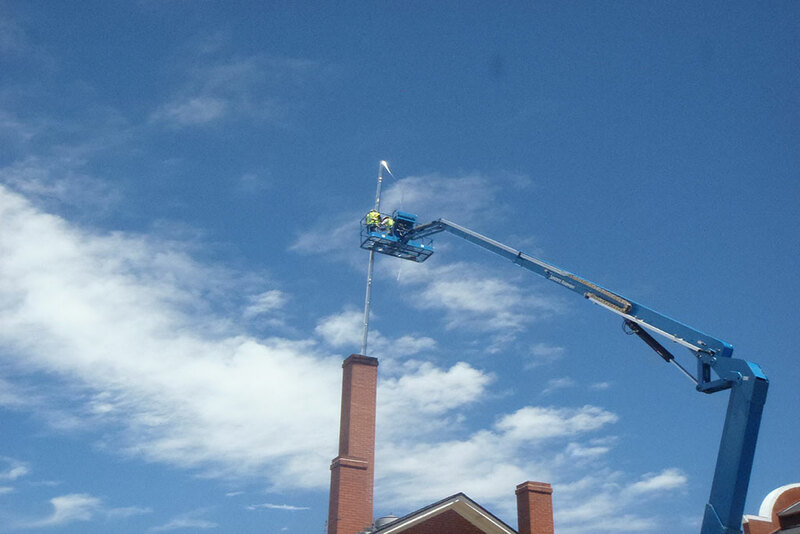 Firewatch replaced the heat and high temperature hot water supplied by the Centralized Heat Plant (CHP) with individual boilers inside of 85 separate buildings. 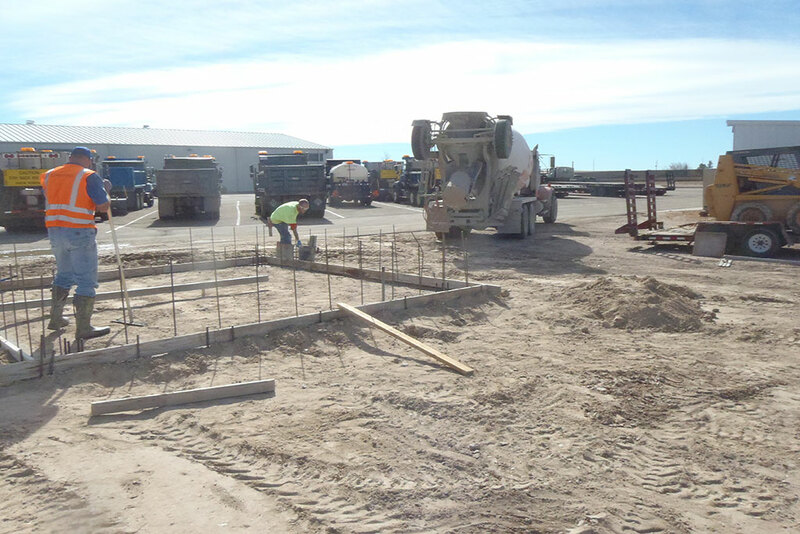 The CHP operated from October through May, meaning that the majority of the work could only be performed during the non-heating season, June through September. 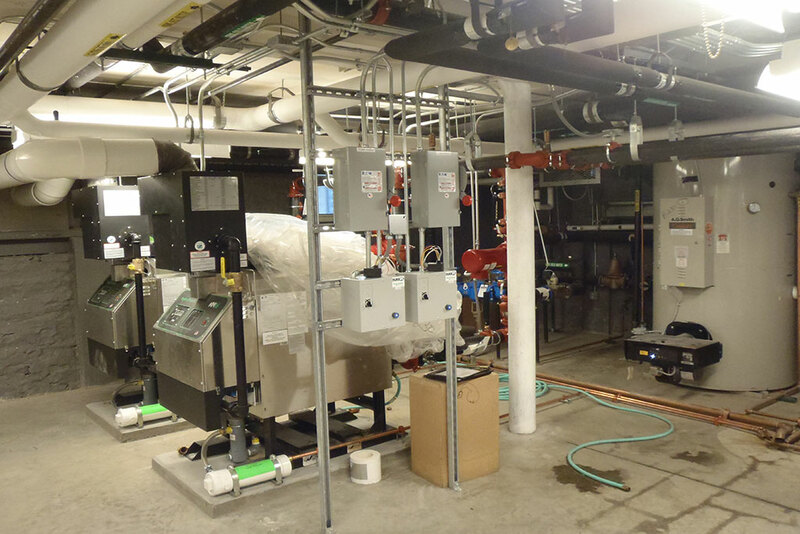 Project scope at each individual building included procurement and installation of boilers, venting systems, interior and exterior gas distribution piping, controls, gas meters, wiring conduit, mounting hardware, supports and associated electrical connections. 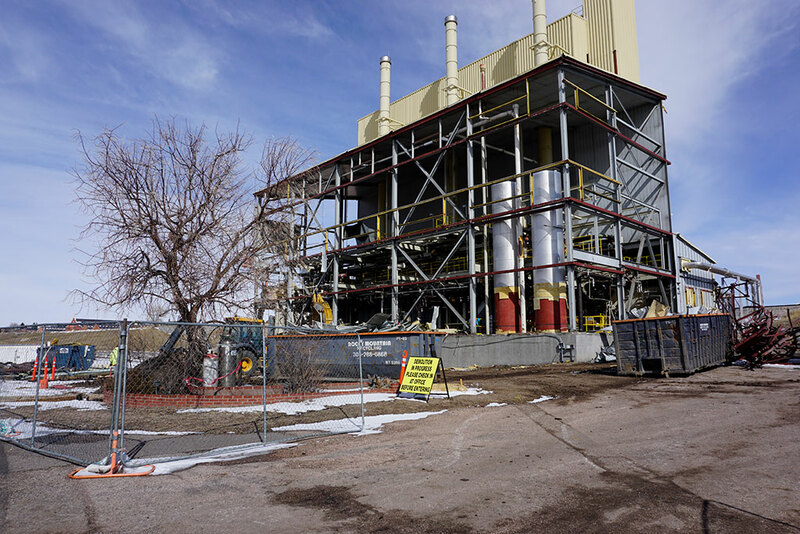 The new boilers were gas-fired, requiring extension of and connection to existing underground utilities. 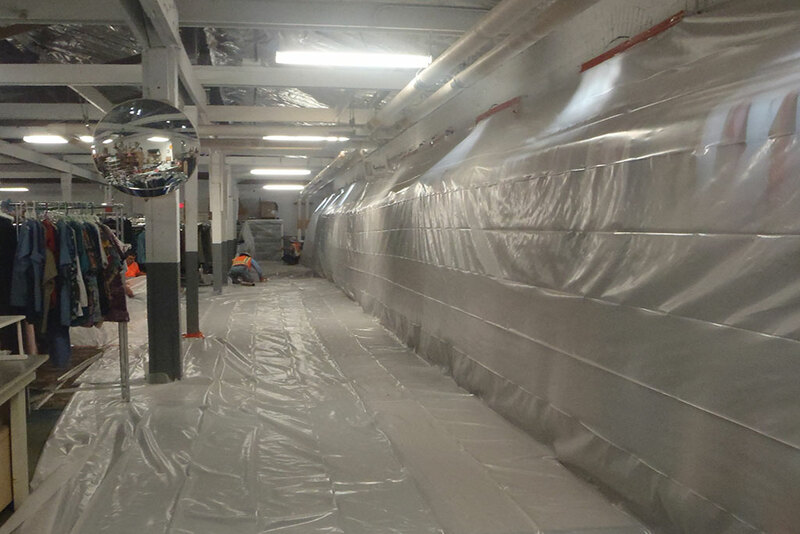 The renovation of the existing mechanical spaces to accommodate the new systems required significant asbestos and lead paint abatement, new electrical, mechanical and plumbing systems and other modifications necessary to accommodate the new equipment. 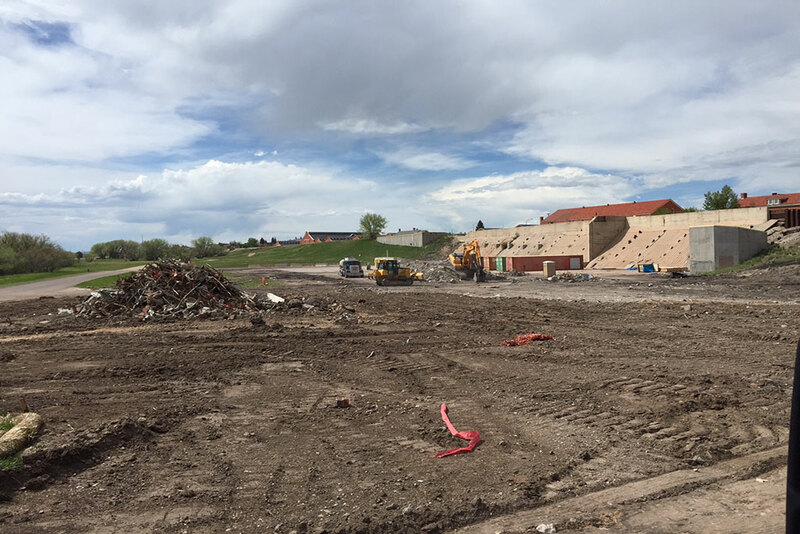 Furthermore, exterior underground work required significant site concrete, pavement, and landscaping to return disturbed areas to their prior condition. 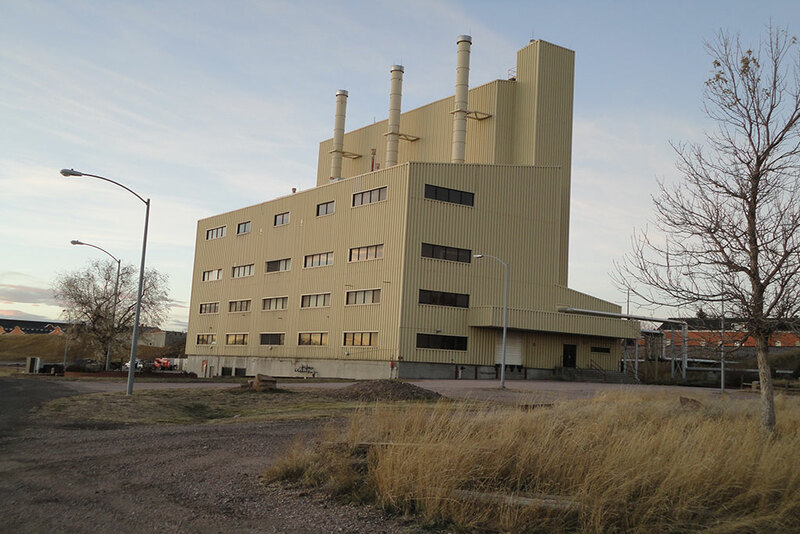 The majority of the buildings were classified as historically significant, requiring coordination with the base historical reviewers, Title II construction manager, and the State Historic Preservation Officer (SHPO). 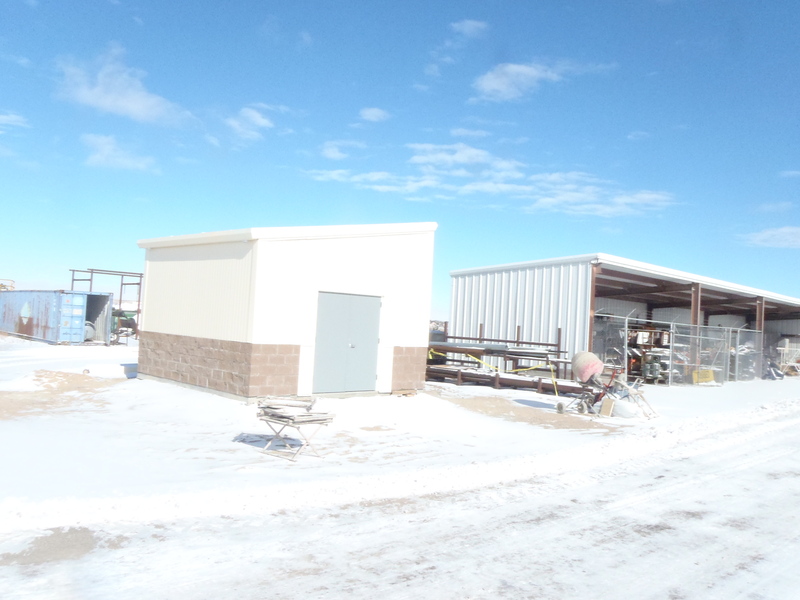 Two of the buildings required construction of a structure to house the new boilers, including foundation and masonry block work with embedded utilities, pre-engineered metal building erection, fire suppression, individual boilers, and building finishes. 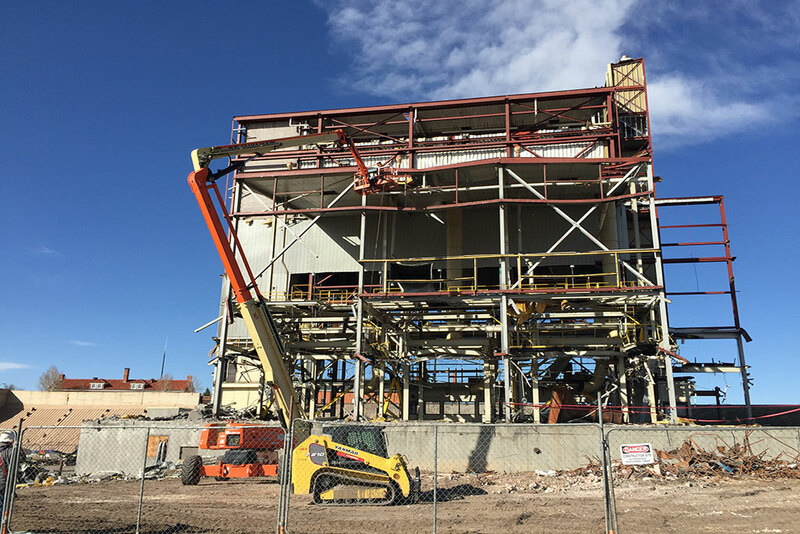 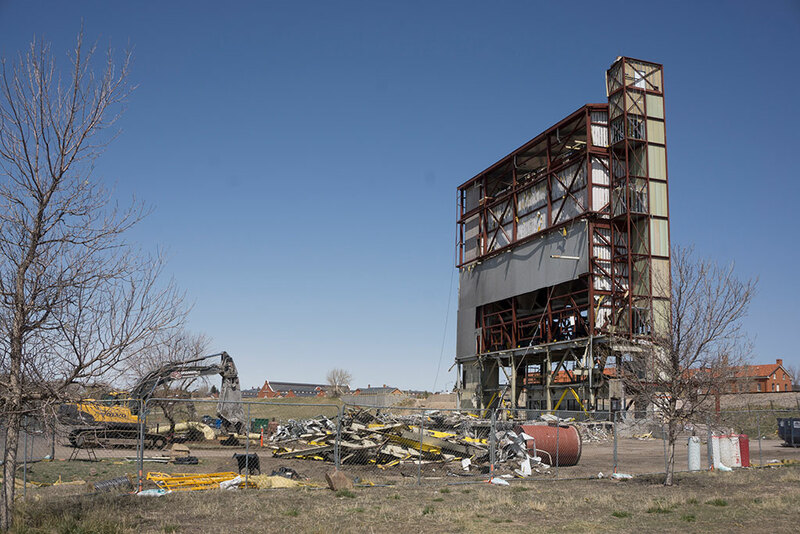 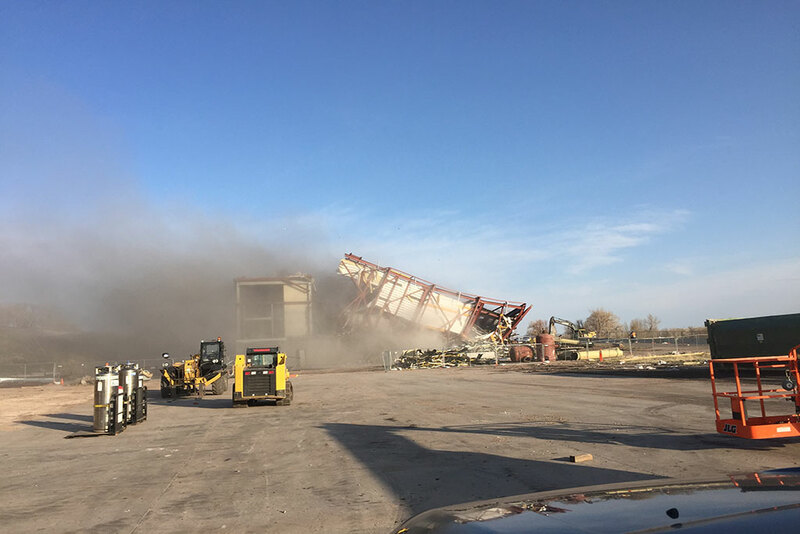 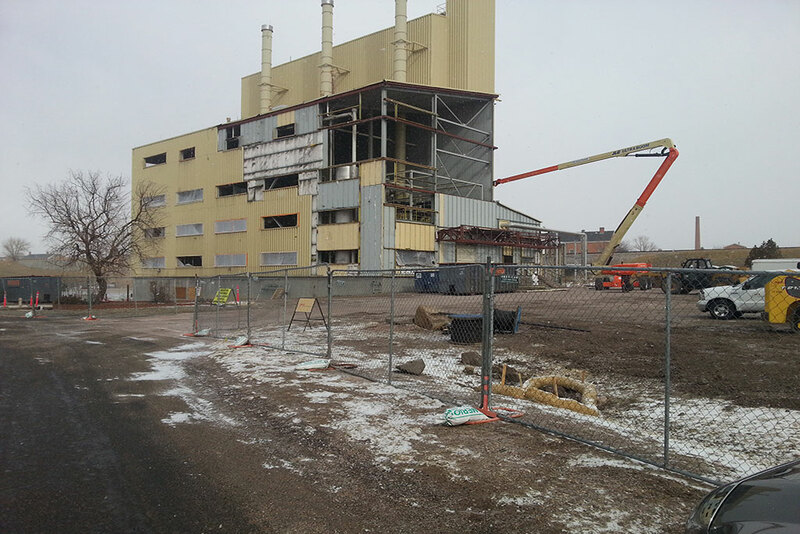 The scope of the project also included the demolition of the CHP, a 6 story, 80 feet tall structure. 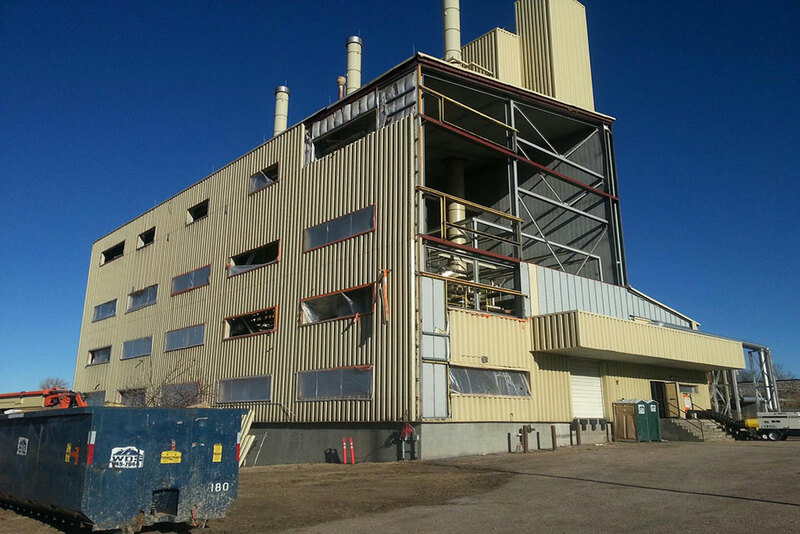 Prior to demolition, complete lead and asbestos abatement was necessary.